Offsite manufacture is the future, but the local character of a place must not be lost. 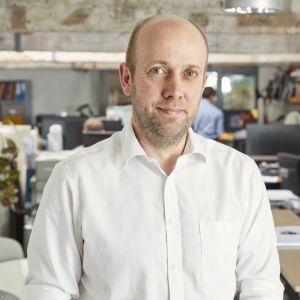 Paul Miller explains why it is easy to see how the rise of offsite manufacturing in the construction industry is inevitable. Most developers have moved away from their traditional construction mentality and are starting to embrace offsite manufacturer systems. However, there are also a plethora of companies in the market offering volumetric systems, modular systems, panelised systems, bathroom pods, balconies, and prefabricated foundation systems. Not many of those however, have delivered them on site. 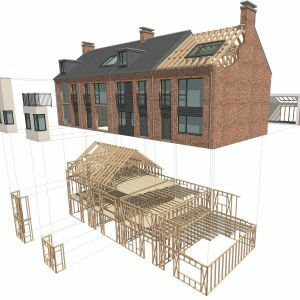 Those that have are leading the field and all Local Authorities, Housing Associations and even developers are queuing up to work with their systems and adopt their standardised systems and house plans. But, with the standardisation (and possibly simplification) of these systems, there may be a reluctance to vary from the original product for fear that a change may disrupt the system through delays or costs. This could result in a standardised product being ‘rolled out’ nationwide and with that, there is a real danger of losing the local character of a place. Each town, village, hamlet has a distinct sense of place and it is the role of the designer to research, analyse and understand this. It must not be lost, or else we will sanitise our places and lose their uniqueness. Offsite manufacturing is the future, but this does not mean that there is a need for standard kit or parts. We as architects and designers must ensure that its power is used in the right way, appropriate for each and every site.